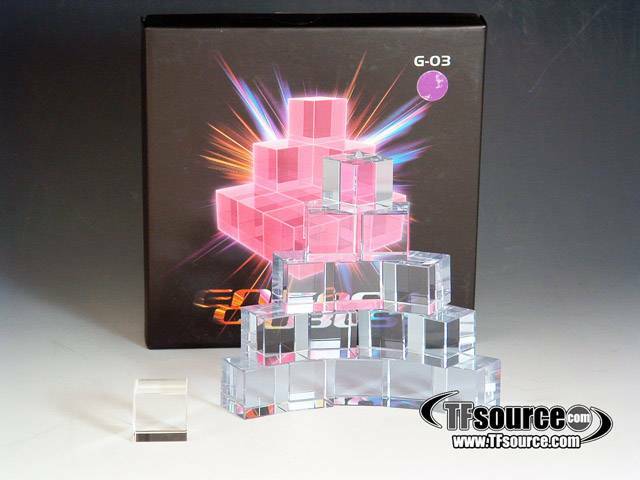 These cubes are about 2 cm square and appear smoked or clear, but when put in native sunlight come to life, revealing their lavender purplish color! According to the manufacturer they are real crystal and quite heavy. 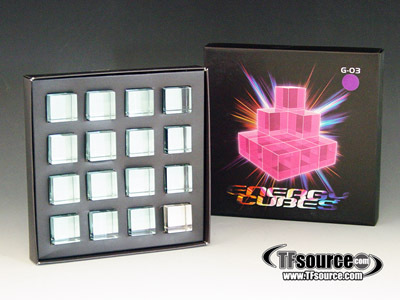 Each set includes 15 cubes, and one clear cube, the rest are smoked and turn purple when exposed to sunlight. Great for dioramas, and putting on display with your favorite bots! 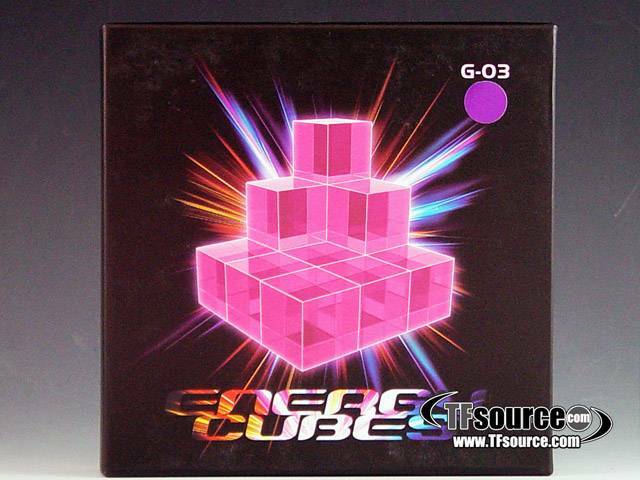 I bought these cubes because I really like the look of them in the photos. They are a nice heavy artificial crystal; and really catch light really nicely. I have not put them in the sun yet as it is winter time and sunny days are few and far between...but I am sure I will enjoy the color change. I am looking forward to displaying them with some of my figures. I think their weight will allow for some stable posing. 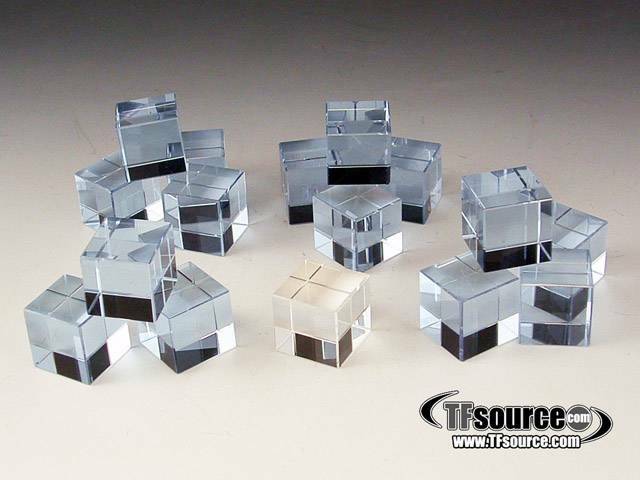 They are on the small side so will look strange with masterpiece scaled figures, although if you stack them in a large cube configuration they will resemble the palletized form of energon seen in the cartoon once in a while.